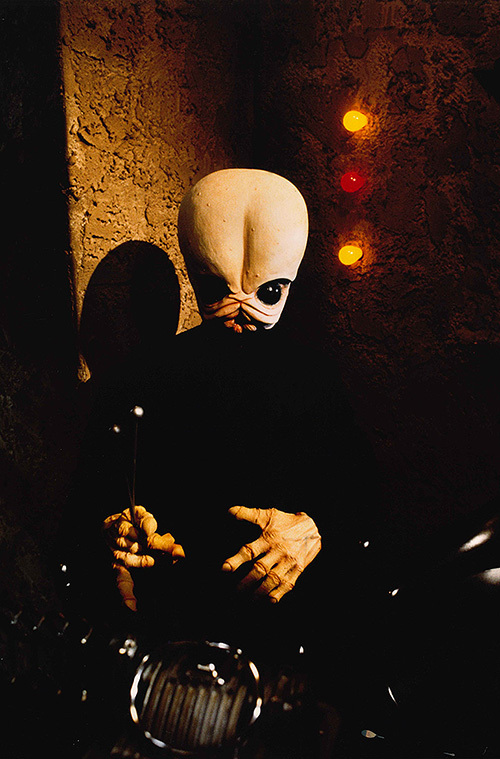 Description: This member of the Modal Nodes plays a wind instrument. 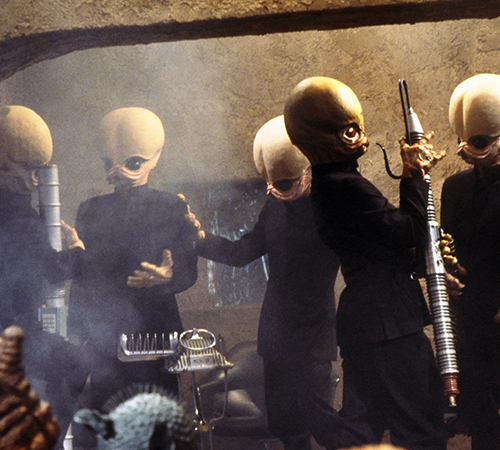 Details: The all-Bith band, Figrin D’an and the Modal Nodes, were a favorite in the cantinas of Tatooine. The band would often alternate between Chalmun’s place and Ackmena’s place. 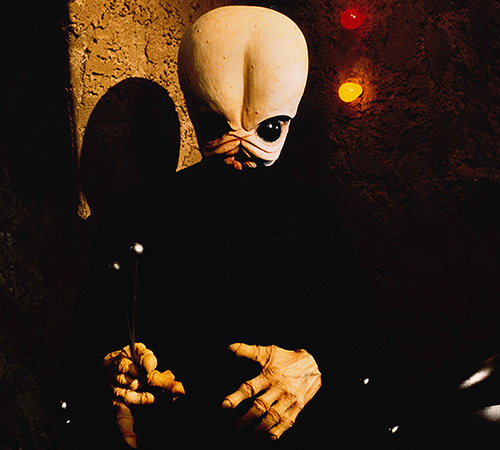 The band seen in Ackmena’s cantina in The Star Wars Holiday Special is undoubtedly the Modal Nodes, although Ackmena refers to the leader as “Barbaline.” This is likely either a pet name or an alias assumed by Figrin D’an for one reason or another. 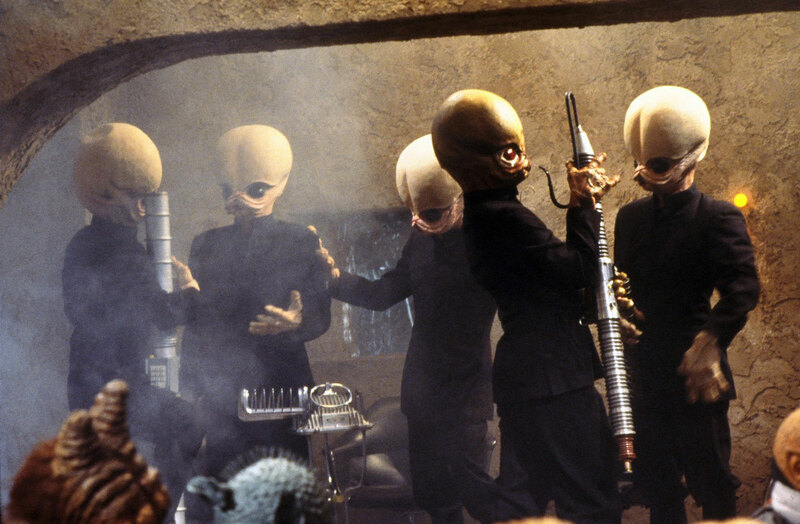 There are five members seen in The Star Wars Holiday Special, with at least two playing instruments different from the ones seen in A New Hope.